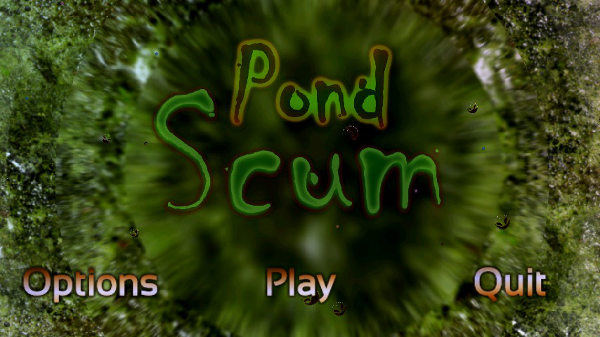 PondScum the videogame! Available for Android and OUYA! It's a Scum-Eat-Scum pond down here. Will you eat your way to the top or end up just another meal? 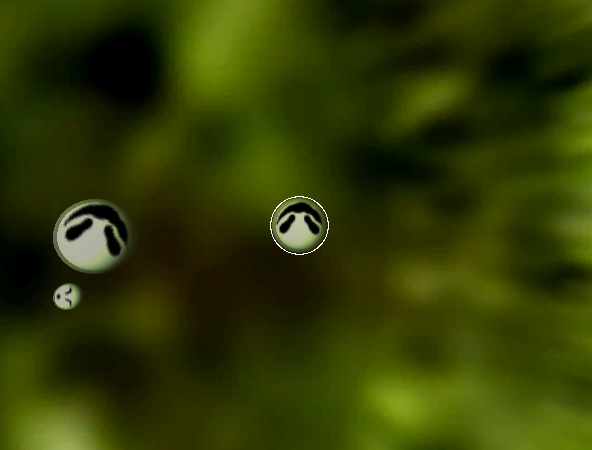 Control a ScumBubble and eat smaller ScumBubbles to grow and PowerBugs (and their eggs and larvae!) to grant you powers that might just give you a chance against the larger ScumBubbles! 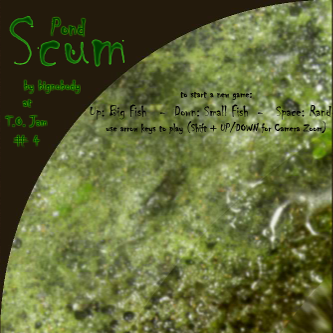 Devour your way to become the biggest Scum in the pond! Algae gets thick at the edges of the pond, impairing mobility under normal circumstances. 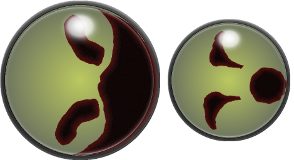 Effects from PowerBugs get stronger at each stage of their life cycle. ScumBubbles have a Burst size. If you can't outgrow it, avoid it until you outlive it. Feed on the weaker. Flee from the stronger. Rule the Scum Pond. Feeling broke and/or uncertain? Try the free version! It restricts the non Standard play modes but it's still lots of fun! PondScum was conceived and prototyped at TOJam #4, a madcap three day game development jam happening annually in Toronto. The theme was "scale" and Scum Bubbles growing and feeding on each other was our interpretation. It's barely playable and uses "candy" in place of powerbugs, but the core idea was there. After TOJam 4 we finished up Wytches Brew and then started building PondScum using Microsoft XNA for Windows and X-Box 360. It never really got past early prototype stage before we shelved it again. 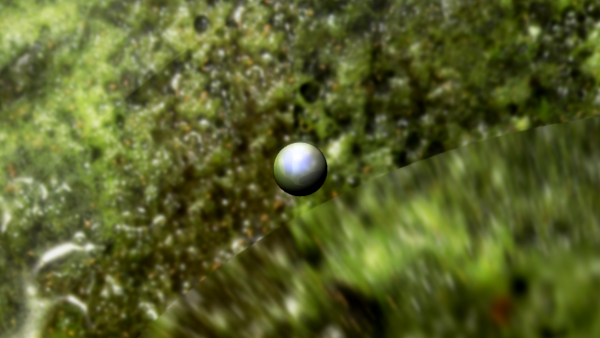 Some time later we used PondScum as a test project for learning how to use Unity, which was also abandoned. In the summer of 2011 we got our first Android phone and started to experiment with Android apps. 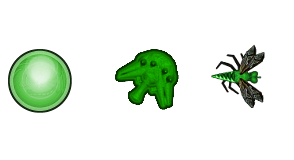 During 2012 we decided PondScum would make a great mobile game and began building the Android version. As time and development progressed, we invested in a Nexus 7 Tablet followed by an OUYA gaming system, each device helping expand our vision for PondScum into the exciting game it is today!